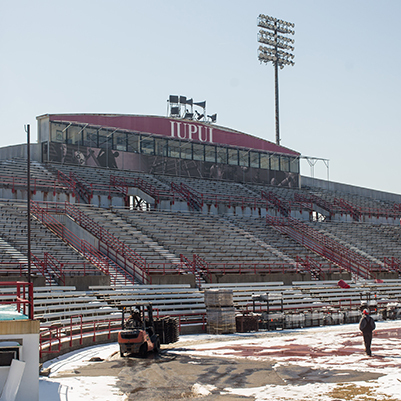 This project involved replacing the field at the Michael A. Carroll Track and Soccer Stadium located on the IUPUI campus. Project work involved removing the existing natural grass soccer surface, soil/sand sub-base, and irrigation systems. A larger synthetic turf surface and base system were installed.